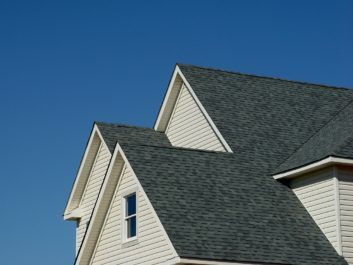 If your home requires a roof replacement, look to the trustworthy roofing contractors at Daech & Bauer Roofing. We’ve completed more than 10,000 successful projects in the Edwardsville, Illinois area, and we back our work with some of the most comprehensive warranties in the industry thanks to our many manufacturer partnerships. We utilize products from some of the most trusted names in roofing, including Owens Corning, and we are proud to be an Owens Corning Preferred Contractor. Optimized airflow in your attic to reduce heat and moisture buildup that can lead to roof deterioration and mold infestation. Lower attic temperatures can also help reduce the strain on your home’s HVAC system and potentially lead to energy savings. Daech & Bauer is also an excellent choice if your home’s roof needs repairs following severe weather. We have extensive experience with insurance claims and can assist throughout the process to ensure that you receive the compensation you deserve and your roof is returned to optimal condition. Put your home roof replacement project in the hands of the contractor that residents of the Edwardsville, IL area rely on – Daech & Bauer Roofing. Contact us today for more information.